My teaching friend recently had a baby. I have tried to come up with many reasons I could pull out my baby stamps to make things for her. 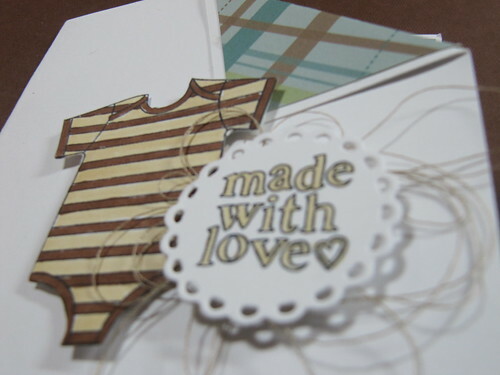 The card I'm sharing today is the last card I made for her. 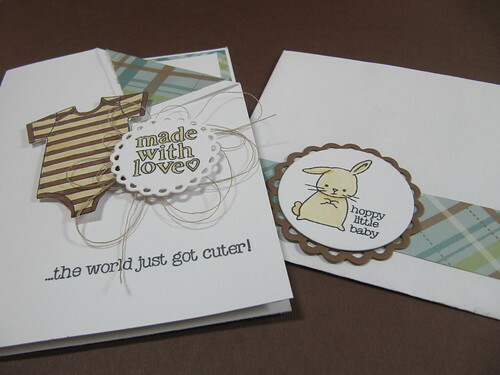 I used the Made with Love set from Stampin' Up. 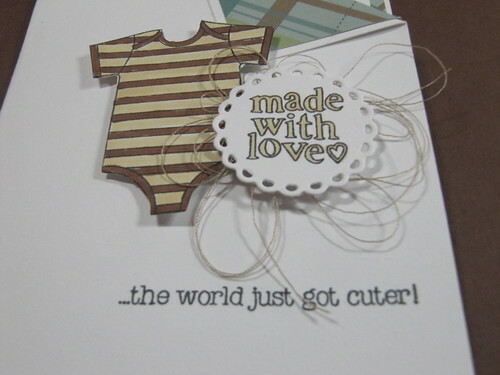 I added a few details like the thread behind my sentiment and the folded corner. 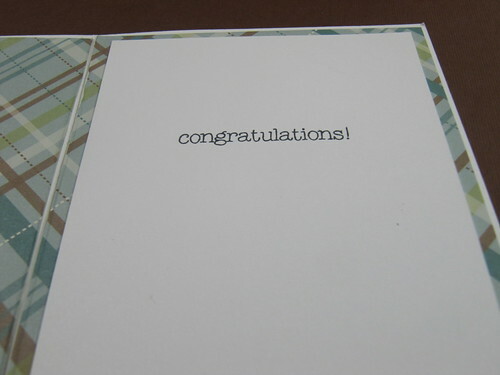 The inside of the card has patterned paper on both sides. I love the brown and blue combo. I felt the card needed a special envelope to go with it. I added a wrap to the envelope and another image from the stamp set. I loved making this card. I finally used some of the thread I had to purchase in a ton of colors. 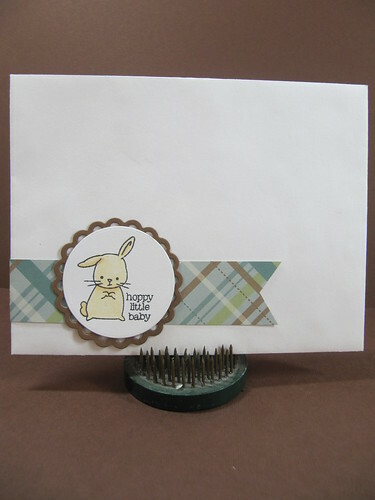 I want to make more cards with the envelope wrap. I love how it turned out.